Observation - Tufted ducks - Global. 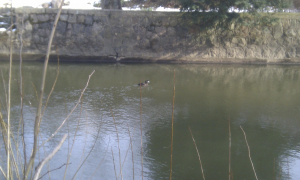 Description: Tufted ducks in the city park. Sadly the photos are not very good (cellphone sorry!) but one shows a male and the other a female. Tufted ducks in the city park. Sadly the photos are not very good (cellphone sorry!) but one shows a male and the other a female.